Are you going on the cruise with us? The beginning of the year is an excellent time for a fresh start and new opportunities! True, some of those opportunities could be implemented during the year – however, the beginning of the year brings a special atmosphere that motivates action. This is also the time of year for goal setting and looking into the future. Let me ask you this….can you think of only 3 people in your life that might appreciate some help getting healthier? What if I told you that if you could help 3 people each month for the remainder of the year with some basic fitness goals, you could go on a FREE cruise? Would you go for it? The Beachbody Reward Vacation was JUST announced! 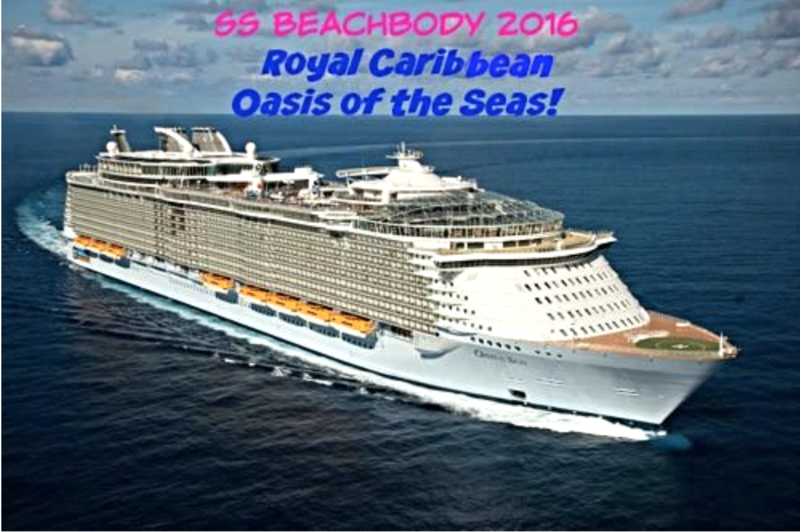 We will be heading to the Caribbean on the LARGEST ship, the Royal Caribbean Oasis of the Seas, completely chartered by Beachbody. If you’ve ever considered the Beachbody Coaching Opportunity, jump on board and earn your free vacation! The Coach enrollment fee is waived with the purchase of any Challenge Pack! Send me a message and let’s chat! I was just given the go ahead to be able to offer the 21 Day Fix AND the 3 Day Refresh Programs for ONLY $10 with the purchase of a 30-day supply of Shakeology! Don’t wish for things to be easier – wish to be better. Don’t wish for fewer problems – wish yourself to have more skills. Don’t wish for less challenges – wish for more wisdom. I wish you and your loved ones a year of success and fulfilling your dreams!